All orders placed with KLS are subject to the terms of this Agreement, including the following Conditions of Order. Any purported change submitted by a purchaser in any additional documentation is hereby expressly rejected. Orders placed on forms deviating from these terms and conditions may be accepted, but solely on the basis that the terms of this Agreement will prevail. 1. Order Validation and Acceptance. When you place an order, we may verify your method of payment, shipping address and/or tax exempt identification number, if any, before processing your order. Your placement of an order with KLS is an offer to purchase our Products. KLS may accept your order by processing your payment and shipping the Product, or may, for any reason, decline to accept your order or any part of your order. No order shall be considered to be accepted by KLS until the Product has been shipped. If we decline to accept your order, we will attempt to notify you using the email address or other contact information you have provided with your order. Delivery dates provided in connection with any order are estimates only and do not represent fixed or guaranteed delivery dates. 2. Quantity Limitations. KLS may limit or cancel quantities available for purchase on any order on any basis, and to alter the availability or duration of any special offers at any time. KLS may reject any order, or any part of an order. 3. Pricing and Product Information. With the exception of Products that are designated as Chip Outpost Products, KLS purchases all Products directly from their respective original manufacturer. 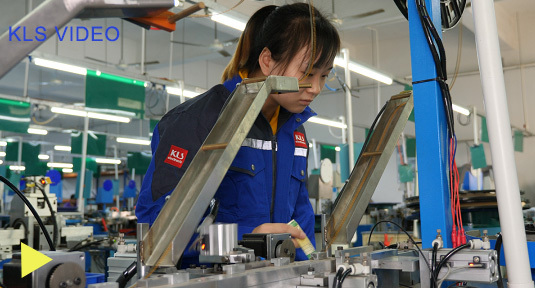 KLS purchases Products directly from their respective original manufacturer or resellers authorized by the manufacturer. KLS makes every effort to provide current and accurate information relating to the Products and prices, but does not guarantee the currency or accuracy of any such information. Information relating to Products is subject to change without notice. Prices are subject to change at any time prior to KLS's acceptance of your order. In the event we discover a material error in the description or availability of a Product that affects your outstanding order with KLS, or an error in pricing, we will notify you of the corrected version, and you may choose to accept the corrected version, or cancel the order. If you choose to cancel the order, and your credit card has already been charged for a purchase, KLS will issue a credit to your credit card in the amount of the charge. All prices are in U.S. dollars. We offer check, money order, VISA . and prepaid by wire transfer as well as open account credit to qualified institutions and businesses. Payment must be made in the currency in which the order was placed. We cannot accept personal checks or certified personal checks. Money orders can result in significant delays. Use of Letters of Credit must be approved in advance by KLS's Accounting Department. 5. Shipping Charges. Shipments of excessive weight or size may require additional charges. KLS will notify you prior to shipment if these conditions exist. 6. Handling Charge. There is no minimum order or handling fee. 7. Late Payments; Dishonored Checks. You shall pay KLS all costs incurred by KLS in collecting any past due amount from you, including all court costs, collection costs, and attorney's fees. If a check you give us for payment is dishonored for any reason by the bank or other institution on which it is drawn, you agree to pay us $20.00 as a service charge. 8. Freight Damage. If you receive merchandise that has been damaged in transit, it is important to keep the shipping carton, packing material and parts intact. Please contact a KLS Customer Service representative immediately to initiate a claim. 9. Return Policy. When the product has quality problems, KLS will accept merchandise returns subject to the terms outlined in this Section and will replace the Product or refund your money at your option. © 2012, KLS Corporation. All rights reserved. QUESTIONS OR ADDITIONAL INFORMATION. If you have questions regarding this Agreement or wish to obtain additional information, please send an e-mail to sales@klsele.com.